for taxi rides with a tap of their smartphones. in Philadelphia since it became available in the city a year ago. and 100 percent of it goes to your driver. and the trusted brand for payment security. 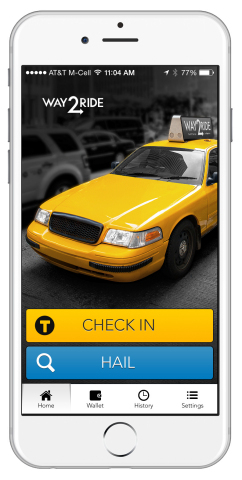 added support for PayPal® using Way2ride™. management tools, mobile apps, digital media and much more. and will launch in all U.S. Verifone markets in 2016. Act of 1995 for VeriFone Systems, Inc.
future events, changes in assumptions or otherwise.